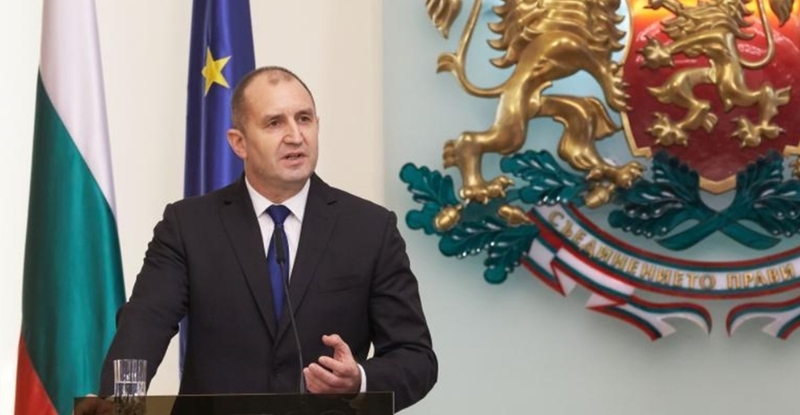 The question of early parliamentary elections is no longer a matter of if but when, President Roumen Radev told a news conference on January 28 held to present his self-assessment of his second year in office as head of state. Radev took office in January 2017 after winning election on a ticket backed by the opposition Bulgarian Socialist Party. He has been a regular harsh critic of Prime Minister Boiko Borissov’s government, and Radev’s January 2019 statements to journalists were no exception, hurling brickbats at the government on a range of issues. Radev dismissed 2018 in Bulgaria as having been a year of “illusory stability, growing lawlessness and erosion of democratic achievement. “A year in which the presidential institution was often the last barrier to lobbying legislation and irresponsible political action,” he said. Radev said that “led by my belief in the establishment of legality as the foundation of democracy” he had vetoed seven laws. “Here I want to be very clear – the veto is not an act of opposing the National Assembly, but an opportunity to achieve effective and fair legislation. And not the number of vetoes, but the lack of real discussion of the issues raised with them, can devalue this constitutional instrument,” he said. Parliament had complied with only one of these vetoes, the amendments to the Privatization and Post-Privatization Control Act, “but this saved a huge amount of money for the Bulgarian taxpayer,” Radev said. He said that for the same considerations of principle, he had referred five laws to the Constitutional Court. “In two cases, the National Assembly merely extinguished the provisions I attacked. This makes me believe that it makes sense to continue to exercise my powers over unconstitutional legislation,” Radev said. He said that “sadly, Bulgarian democracy has been losing momentum”. Trust in Parliament was at a critically low level, and increasingly, laws were being changed through regulation, thus avoiding public discussion and impact assessment, Radev said. “The legislative process is becoming unpredictable and eliminating civic participation. Lobbying legislation overtly displaces the public interest,” he said. Radev said that there was a lack of transparency, accountability and responsibility in decisions by the government on spending large sums through budget reallocations. He also reiterated his oft-repeated criticism of Bulgaria’s jet fighter acquisition process. The successes to which those in power pointed did not change the lives of most Bulgarians for the better, Radev said. The mantra about stability and economic growth – “which, incidentally, is among the lowest in Central and Eastern Europe and anchors us steadily at the European bottom, cannot dampen the most important indicators of quality of life and confidence in statehood – demography and foreign investments,” he said. These were the “melting” of the nation at a dramatic pace, the continuing “escape” of young people abroad, increasing inequality and poverty, marginalised communities, and “according to the latest data of the Bulgarian National Bank, 2018 was a real catastrophe for foreign investment and closure of enterprises is a lasting trend,” Radev said. “In this critical situation, society’s expectations are for urgent and comprehensive rescue measures – to raise living standards and quality of life and exit from demographic poverty. However, any modern economic, tax, and social models to apply this goal is doomed if not the most important – a radical change in the political environment and the style of government,” he said. “a carefully circumvented perimeter of power, in potential dependencies between politicians, owners of companies that earn large public procurement, and potential outsiders.